The F.B.I have started an investigation on the U.S President Donald Trump on whether he is a secret agent working for the Russian government. The investigation started days after Trump fired F.B.I director, James Comey for his investigation into Russia meddling in the U.S election. The intelligent investigators are looking to see if Trump has fallen under Russia influence, and also if his actions could constitute a threat to National security. The president suspicious activities during the 2016 elections had raised an alarm of the president if he was working for the Russians ,and also when he later said he had fired Comey because he was tied to the Russia investigation. The special investigation also part of the Robert Mueller investigation, it is unclear if Mueller is still pursuing the investigation as some law enforcement official believes that the investigation is an example of agents overstepping their power of investigation. According to former F.B.I James A. Barker, if the President had fired Comey to stop the Russia investigation, that would mean the the Bureau would not understand how Moscow had integrated itself into the election, and how many Americans had conspired to join Russia to meddle into the election. Since the investigation, there have been no evidence that proves Trump ties to Russia and also no evidence that says that the president get his direction from the Russian government. Mr Trump's lawyer, Rudy Giuliani tried to dismiss the investigation and said “The fact that it goes back a year and a half and nothing came of it that showed a breach of national security means they found nothing,” and he is yet to hear of any investigation from the bureau about the investigation. Ahead of a Monday public holiday dedicated to civil rights leader Martin Luther King Jr., members of the Ku Klux Klan wasreported to have distributed flyers that are denoucing the leader. 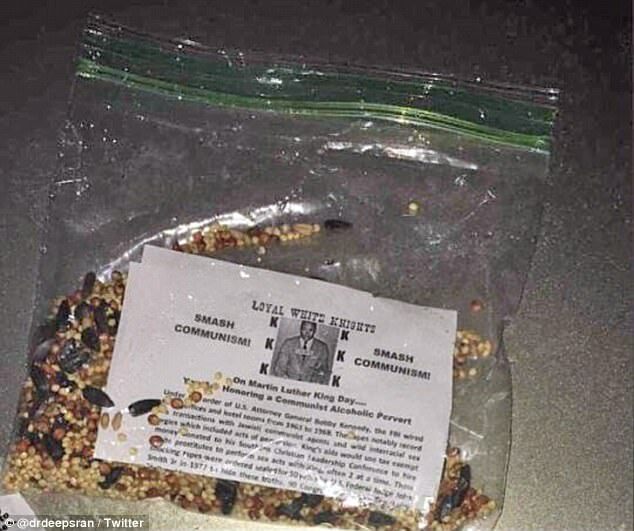 Police and the FBI have launched an investigation after at least 10 people reported to have seen plastic sandwich bags containing a flyer that labels Dr. King as a an alcoholic, communist and pervert. Bishop Shawn Stephens, an African-American pastor while speaking to NBC Washington said that she was in her driveway when a woman driving past threw the flier through the window. Stephens said; "How can this be in 2018? How can this really be our reality at this stage of life? This is America, the land of the free. I believe [Martin Luther King Jr.] would be heartbroken," he told the outlet. "He was impactful for every group out there. He fought for them. And he was a fair gentleman. And he was a gentleman that loved all people." Another residents, Jack Oden,who saw the flier around 10pm in the east side of town said; "I believe in free speech, but if you’re going to say things or do things like that, you need to stand up in front of other people and listen to their response, doing it this way is cheap." Police have said that the culprits are distributing the flier because of the upcoming holiday, and are not targeting a specific group of people. Loudoun County Sheriff’s Office said that the they are working with the FBI and the Purcellville police departments to know the origin of the fliers. Rasheeda Johnson Turner, 35, appeared in court yesterday after she was arrested last month for wanting to kill his boyfriend, but the hitman she hired turned out to be a FBI informant. The woman was looking to end the life of her 55 year old sugar daddy, and cash out his $150,000 life insurance policy, and offered to pay the hitman $50,000 for the hit. Before she met with the FBI informant who was posing as a hitman, Turner had approached another hitman who told her he was not going to do the job. It was then the FBI knew she was hunting for a hitman, and bait her with their own informant. According to the court report, Turner called the informant at Dec. 3 and asked that they meet at the Lakewood park. While driving around, Turner was telling the informant, who by now was wearing a wire. She said; " I was gonna off blood myself, but it’s hard because I got a kid." She seems to be referring to her sugar daddy as blood. She also said she had obtained "pure acid" from a plumber, and would rent a room, lure the victim inside to use it, but also fear her kid would interrupt. That was when she opted for hiring a third party to do the work. "Once he is dead, I get the death certificate. Then they pay me—what?—within 30 days, the life insurance or whatever…"
On Dec. 8, for the fear of her beau seeing another, she decided to kill him fast before the other lady make him change the insurance beneficiary name. She called the supposed hitman, and because Turner had an app to track her lover whereabouts, she gave this information to the informant. The informant had gotten other information in their previous meetings. She paid the killer, and confirmed payment, then gave the location of his whereabouts to the supposed hitman. The FBI instead contacted the victim, and went ahead to arrest Ms Turner. Donald Trump has taken to Twitter to attack the media, intelligence community and Hillary Clinton after multiple questions that is being asked about his associate and Russia. Trump went on Twitter to rant about the recent reports, and said the media are only trying to spin the "conspiracy theories", and are supported by the intelligence communities. According to New York Times, members of the President Trump inner circle had contacts with Russia Intelligence officials during his campaign, this is also proven by looking at Trump's phone records, and an intercepted call. The call by members of Trump organization was intercepted during the time that the Democratic National Committee emails were hacked and released to Wikileaks. This was 24 hours after Trump's National security adviser, Michael Flynn resigned from his position, after the intelligence community found out he spoke to the ambassador of Russia during the Obama sanction, which is illegal in the US. Also, Trump was aware of Flynn communication with Russia, since January 26th. Democrats are now pushing Republicans lawmakers for an aggressive investigation of Trump and Russia association. And he later went ahead and attack NYT, as Trump believes the Intelligence committee is feeding what he called"Failing @nytimes" information. The FBI is probing a terror plan by terrorist group, Al-Qaeda, a day to US election in Texas, New York And Virginia, according to reports. The group is planning an attack on the three states, but the location of the attack is yet unknown. The counterterrorism and homeland security communities remain vigilant and well-postured to defend against attacks here in the United States. 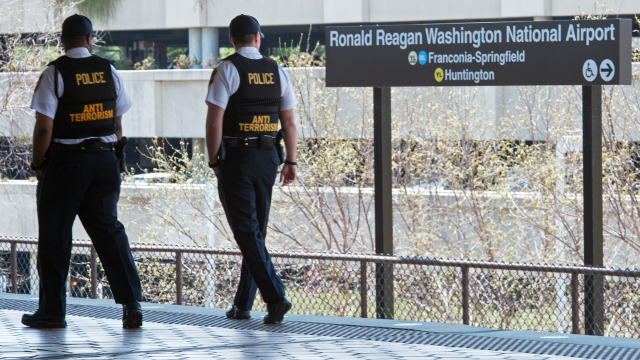 The FBI, working with our federal, state and local counterparts, shares and assesses intelligence on a daily basis and will continue to work closely with law enforcement and intelligence community partners to identify and disrupt any potential threat to public safety. The FBI is also beefing up its cyber defence system as it fears hackers might want to target its electronic voting systems on voting day. The department of Homeland security is checking and scannning vulnerabilities in the election system before the polling day. In August, the FBI sent out a flash alert to Illinois and Arizona after detecting a breach in the voter registration database. Experts believe that the chances of hacking the election are remote, because the machines are not connected to the internet. Read more about FBI Is Investigating Al-Qaeda Terror Plans In Texas, New York And Virginia. The FBI has announced it will be re-opening the Former secretary of state, Hillary Clinton investigation after the bureau finds some new emails related to the email server. 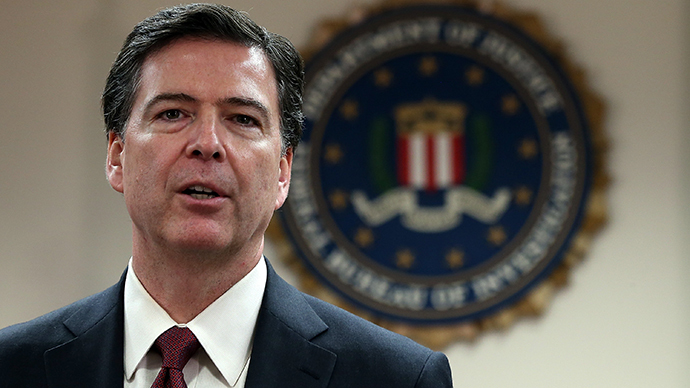 The FBI director, James Comey makes the announcement today. A letter has also been sent to congress explaining the reason the case will re-open, he said that the FBI "The FBI cannot yet assess" the information to know whether it is "significant" or how long the investigation to make an assessment. Comey also added that the latest discovery had occurred "in connection with an unrelated case," which leads to the decision to resume the investigation. While the news was breaking out, Senator Clinton was on the campaign trail in Iowa, but did not talk about the investigation when addressing supporters. The news of the investigation is happening 11 days before Americans decide on their next president. Though Clinton is leading Donald Trump in the election, after he (Donald Trump) suffered in the polls after his #PussyGate scandal. In July, James Comey said that while Clinton and her aides during their tenure was "extremely careless" in the handling of classified information, he recommended that no charges be filed. The FBI director, James Comey, has warned computer/laptop users to cover up their webcam everytime. The director warns that the rate of cyber attack this day could allow a hacker break into a computer and spy on a user. There’s some sensible things you should be doing and that’s one of them. You go into any government office and we all have the little camera things that sit on top of the screen. They all have a little lid that closes down on them. You do that so that people who don’t have authority don’t look at you. I think that’s a good thing. Facebook CEO, Mark Zuckerberg recently admitted to closing his webcam in April. And also a video recently shared on Facebook saw the CEO tape up his cam. 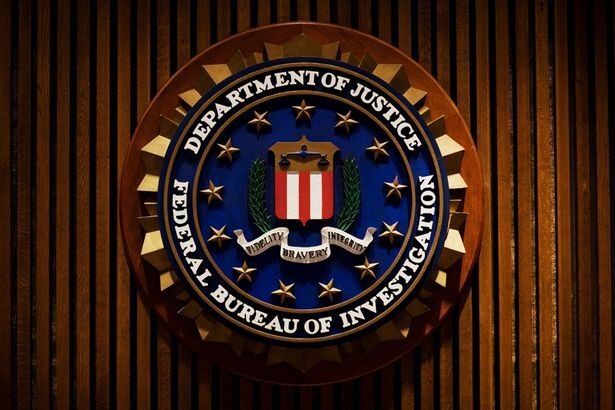 Nicholas Young, a 36 year old Washington, D.C. Metro Transit Officer was arrested on Wednesday afternoon by the Federal Bureau of Investigation (FBI) after attempting to send money via an app used by ISIS in recruiting its soldiers. Young was trying to send $245 to an undercover FBI agent, who disguised as a link from the terrorist group, ISIS. Young joined the service in 2003, but has been in security offiicial radar since 2010 after multiple ties to suspected terrorist links. Young is also an acquaintance to Zachary Chesser, a man that was sent to 25 years in prison for supporting Al-Qaeda terrorist group. Security official also connected Young to a Moroccan national, Amine El Khalifi, who was arrested in 2012 on his way to US Capitol with explosive belts. A search into this home revealed a large cache of firearms, including various types of rifles and handguns. Despite his arrest, the US justice department said that Young was not looking into carrying out any attack or anything that would disrupt the metro he was protecting. Chief Ron Pavlik, Metro Transit Police, thanks the FBI and other security agencies who worked together for Young's arrest. Young will appear before the US District Court for the Eastern District of Virginia, his state of residence on Wednesday, and if found guilty, can face up to 20 years in prison time. The Boston police department (BPD) and the FBI are under fire after they shot and killed a 26-year old black Muslim man,Usaamah Abdullah Rahim, after they stopped him at a bus stop at 7:00 a.m. in front of a CVS drug store in order to question him. The media and the FBI had claimed that Rahim was wielding a machete when he was approached by the agents. But the claim soon changed after photos emerged and the machete was changed to a military-style knife, a black military-style knife. After the killing, the FBI had decided to assassinate the character of Rahim by using the media and linking the young man to ISIS. The media had written wholly uncorroborated accusations, some of the agents were even given anonymity by the media to smear the person of Rahim. The man was quickly labelled as a man that is linked to ISIS to help carry out attacks on US soil. After hours of killing, the police have contacted the investigative reporter for channel 7 news, Cheryl Fiandaca. Fiandanca is the spokesperson of the BPD and also the ex-wife of the former Boston police commissioner, Bill Branton. So immediately the accident happened, Fiandaca was one of the first "investigative reporter" that took to social media to say Rahim had linked to ISIS. Followed by the "almighty CNN" who went ahead and put the headline "Source: Man Fatally Shot By Officers In Boston part of terror network"
The question a lot of the media outlets never asked is the evidence of the young man that was fatally shot. The media just went ahead to assassinate his person while he is gone. And in just few hours after killing the name Usaamah Abdullah Rahim is synonymous with terrorist and ISIS, all thanks to the media and "Investigative journalism". The police claimed that the man is a terrorist and had been placed under 24hours surveillance before he was approached, but when they police approached him, they had no search/arrest warrant. But he was approached 7:00am on his way to work, and when he was approached, the police claimed he was wielding a knife and was not going to approach the police, so they shot and kill him. The killing seems unjustified and have become rampant with the police and media. The police have killed the man in what people have termed "FBI profiling", the man is black and a Muslim. Though Boston community is still grieving over the Boston Marathon bombing, but that should not justify the killing of someone the police have little or no evidence. After some journalists had claimed to see the video of the shooting, the FBI who had promised that the video would soon be released to clear any doubts, did not release the video until 2 weeks after the incident. The camera that was 5o yards away and blurred with rain drops, and the human figures in the video are barely seen. It shows Rahim walking peacefully, and was approached by multiple individuals who had no uniforms, threatening and in a military style formation. No weapons were visible in the video released by the police and therefore spurs dispute. Media outlets who had seen the video later said that the video needs more explanation, CNN said even though officials had said the video footage speaks for itself, still it required narration. Video Surveillance Tape Release Response. Rahim is being known to condemn the killing of innocent people by ISIS and have preached against violence and terrorism, never posted any bloody pictures or make violent call to arm many supporters of armed extremist groups. We will keep updating this news as we get more information on the killing.